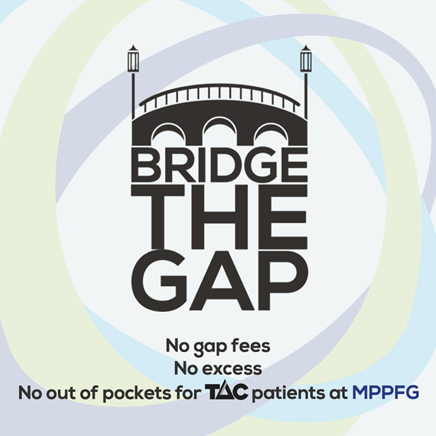 MPPFG are pleased to announce that we no longer require TAC patients to pay a Gap Fee for services including Physiotherapy, Exercise Physiology, Strength & Conditioning, and Dietetics. To be eligible, patients must have an active TAC Claim and TAC Claim Number. Call (03) 9534 0611 for more information.